If you are sitting down to a lavish table, do not display your greed, do not say, ‘What a lot to eat!’ Remember, it is bad to have a greedy eye. Is any creature more wicked than the eye? – That is why it is always weeping! Do not reach out for anything your host has his eye on, do not jostle him at the dish. Judge your fellow-guest’s needs by your own, be thoughtful in every way. Eat what is offered you like a well brought-up person, do not wolf your food or you will earn dislike. From the Rossano Gospels, a 6th C. codex produced in Italy under Byzantine rule on purple dyed parchment Via the twitter. 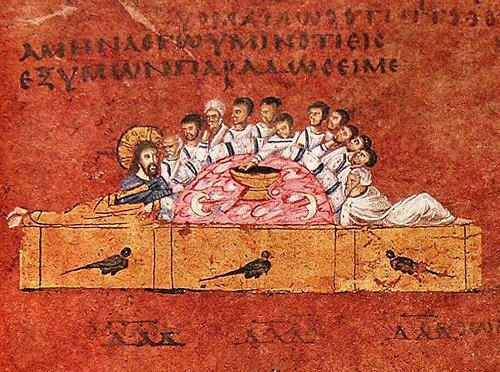 The group reclining – that’s how Jews in the first century ate. Not sitting at a table. The traditional story of the birth of Christianity is dominated by men, but were female disciples actually crucial to Jesus’ mission? And why has the role those women played disappeared from history? Airs April 8 at 8. I give you a new commandment: love one another; you must love one another just as I have loved you. It is by your love for one another, that everyone will recognise you as my disciples (Jn. 13:3-35). Well we knew he was a heretic, but now he’s finally voiced it in an unmistakable way. In a conversation with a 93-year-old atheist at the Vatican, Pope Francis, gave the answer to all your prayers. ‘Hell doesn’t exist,’ the Pontiff told Eugenio Scalfari, the founder of one of Italy’s leading newspapers. Instead, the Pope says the souls of the unrepentant will simply disappear forever and go unpunished. Mr Scalfari’s conversation with Francis is one of a series being reported in La Repubblica. They’ve already caused controversy in Italy, prompting the Vatican to clarify what Mr Scalfari has reported. Needless to say, the Gospel writers will be very surprised to hear that, since they mention Hell (γέενναν) 11 times. … But it stigmatises Jews in less obvious ways that are nevertheless dangerous. The respect I have for two of the film’s consultants, professors Joan Taylor and Amy Jill Levine, leads me to believe that these subtler anti-Jewish features of the film must have been inadvertently included without their knowledge. The subtlety of the film’s anti-Judaism is best illustrated in one of the opening scenes of the film, in which Mary and her family visit a synagogue to worship. In praise of the filmmakers, I should point out that the synagogue of Magdala is one of the oldest dedicated synagogue buildings excavated in Galilee and likely was in use in the early first century CE. However, once the characters enter the synagogue and begin to pray, several problems become apparent. 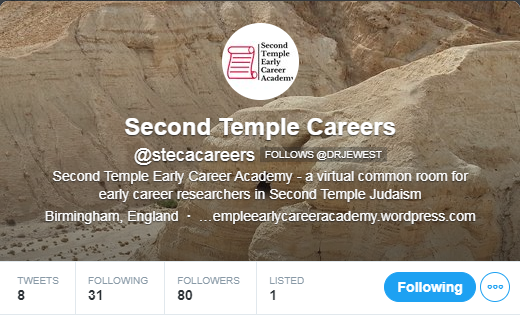 First, we have no evidence to support a division of genders in synagogue worship in antiquity, despite what the film shows. The earliest surviving manuscript of the whole of the Greek New Testament is Codex Sinaiticus, produced around the end of the fourth century. Although its physical pages are now distributed between four libraries across the world, the whole manuscript has been reunited in digital form by a project involving the University of Birmingham’s Institute for Textual Scholarship and Electronic Editing (ITSEE). High-resolution images of each page are linked to a full-text transcription, enabling users to click on a single word and see it in the original on the website. The author sent a review copy a bit ago and though I finished the review a few weeks back I have been occupied with other tasks until now. Bordjadze’s book (hereafter B’s) is a reworking of his doctoral dissertation from the University of Durham. In spite of that, he mercifully only references one volume by NT Wright- so the work is already a great blessing. And of course there are the usual foreword, acknowledgement, abbreviations, bibliography, and index. The first two chapters lay the groundwork for what follows and are fairly standard in terms of their approach and denouement. B. here isn’t seeming to strive for originality or ‘shock and awe’ but rather calm and steady technical clarity. And he does this well. Chapter three is very good and should be consulted by all who wish to understand more thoroughly what the Hebrew morpheme משל is all about. B. also does a good job here of showing the Isaianic context of the morpheme. Chapter four appears to be the heart of the argument with chapter 5 playing the role of supplemental data added to the core material. Chapter four, though, has a series of excurses which, while interesting and helpful, serve more the role of appendices than excurses proper (in my view they well could have been placed at the end of the volume and been called appendices). But that’s a mere quibble. Chapter six turns to an examination of how Origen (the heretic) and Calvin (the blessed) used and understood this passage in Isaiah. On the face of it these two Church figures seem rather randomly chosen. Why Origen and Calvin and why not Augustine and Luther or Chrysostom and Zwingli, etc.? The reason is clear enough however- these two represent the main lines of interpretation. And that’s the best reason to include them. The volume would be unnaturally enlarged were every reception-historical avenue driven down so the author is to be appreciated for wise choices. Given, however, that I despise Origen I’ll spend my time instead on B’s interpretation of Calvin. B. does a good enough job with the Genevan Reformer; he seems to understand Calvin’s aims and intentions and methods though he’s too dependent on secondary sources and doesn’t, in my humble (!) view, make enough use of primary sources. Indeed, B. seems more often than not to be in dialogue with B. Childs rather than J. Calvin. When B. does eventually get around to engaging with Calvin directly (which he does on page 162), he cites but two of Calvin’s works- his Commentary on Isaiah and his Institutes. But Calvin discusses the passage in question in his Psychopannychia. Consulting it would have enriched and strengthened B’s work. Nonetheless, B. is clearly very in tune with Calvin’s mindset and he is therefore a reliable guide here to Calvin’s thought. The final two chapters pull everything together and offer the reader a thorough summary of the book’s point of view. All in all, this is an enjoyable volume. It is informative, stimulating, and intelligent. There are a few minor problems (or better, issues) with it which have been noted above. And in spite of them, I heartily recommend this work. It teaches. The world doesn’t need more decorative crosses, it needs disciples of the Crucified and Risen Lord. This eagerly anticipated volume is the second installment in H.G.M. 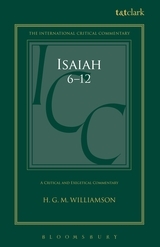 Williamson’s International Critical Commentary on first Isaiah. For over one hundred years International Critical Commentaries have had a special place among works on the Bible. They bring together all the relevant aids to exegesis – linguistic, textual, archaeological, historical, literary, and theological – to help the reader understand the meaning of the books of the Old and New Testaments. Williamson continues in this tradition, adding to his already published volume on Isaiah 1-5. Covering the next seven chapters of Isaiah Williamson incorporates a range of secondary scholarly material with examination of all the key textual and critical issues surrounding the text. In brief, it’s amazing. It’s a fitting addition to one of the most important and impressive commentary series’ yet done. And Williamson is the classic scholar – one who approaches the text as carefully and circumspectly as humanly possible. I.e., he is objective. The exposition is quite extensive, as readers will no doubt imagine given the girth of this work. It’s over 700 pages and it covers but Isaiah 6-12. In other words, whatever there is to know about these chapters of Isaiah, Williamson shares. Certainly, he does not delve into every deviant notion but he does provide a sensible reading and he collects and distributes the other contenders for sensible readings as well. The bibliography at the beginning of the volume is very rich and the footnotes scattered throughout the volume are extensive (to put it mildly). That covers the contents of the volume, but what about the substance? Is Williamson ‘right’ or has he simply erred or repeated the errors of others? The answer to those questions is- this volume is substantial. That is, it is filled with matters of substance and significance. And it is substantially correct as a scholarly enterprise. Williamson’s discussion of the always interesting 7:14 begins on page 150 and runs through page 163. 13 pages for one verse shows, it seems to me, an amazing willingness to discuss material in the kind of detail that few are competent to achieve. It’s pure substance. 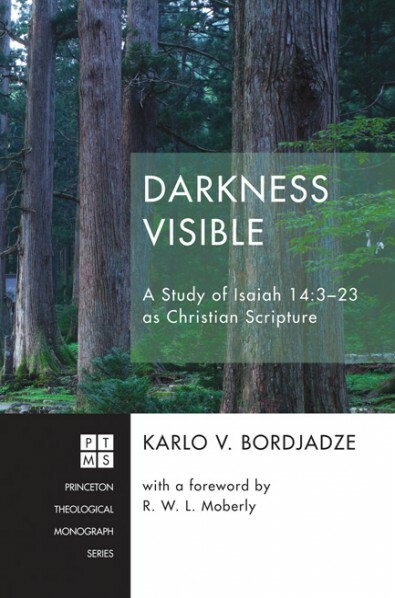 This is a very good commentary and it should sit on the shelf of every scholar of the Hebrew Bible; not simply because it is exceedingly useful, but because it is a model, and exemplar, of the art and science of the commentary genre. If readers want to know how to write scientific commentaries, they can go to the School of Williamson and take the course on Isaiah and learn more than they will have likely ever learned before. I cannot but commend this volume to you. When you hate someone you remain silent when they are endangered. When you love people you speak out. Sometimes, however, people wrongly believe that the condemnation of evil is itself hatred but nothing could be further from the truth. Love speaks, hatred is silent. Accordingly, if someone loves you they speak out when you are in peril (spiritually, physically, emotionally, etc.) 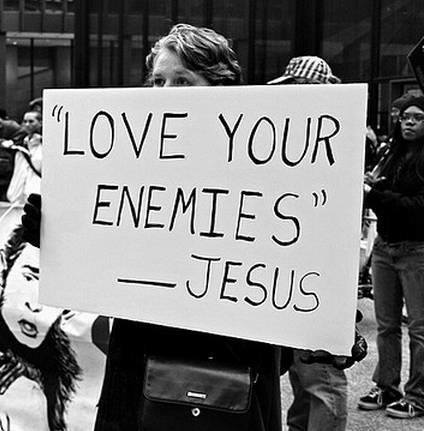 but is someone hates you they simply let you suffer (spiritually, physically, emotionally, etc.) without speaking a word. True, the speech of love may hurt but it is healing in the end. Better the sting of the scalpel of truth than the anesthesia of hatred’s indifference.